Daily Hydrating Conditioner is an ideal conditioner for daily use that helps add body, bounce and shine while leaving the hair free of tangles. Formulated with natural botanicals and proteins to help make hair more manageable and easy to style. Sulfate-free. 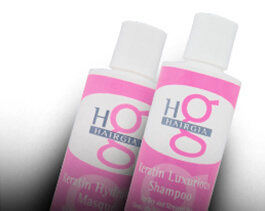 HairGia’s Daily Hydrating Conditioner is great for all hair types, men and women. A nourishing, natural-botanical-rich conditioner, it will hydrate dry, stressed hair to restore it’s natural shine. This conditioner is perfect for everyday use as it adds body and bounce to your hair while eliminating tangles and making it easy to manage for stress-free styling. And, as always, it is sulfate-free and never tested on animals! DIRECTIONS: Shampoo with desired amount of your favorite HairGia Shampoo. 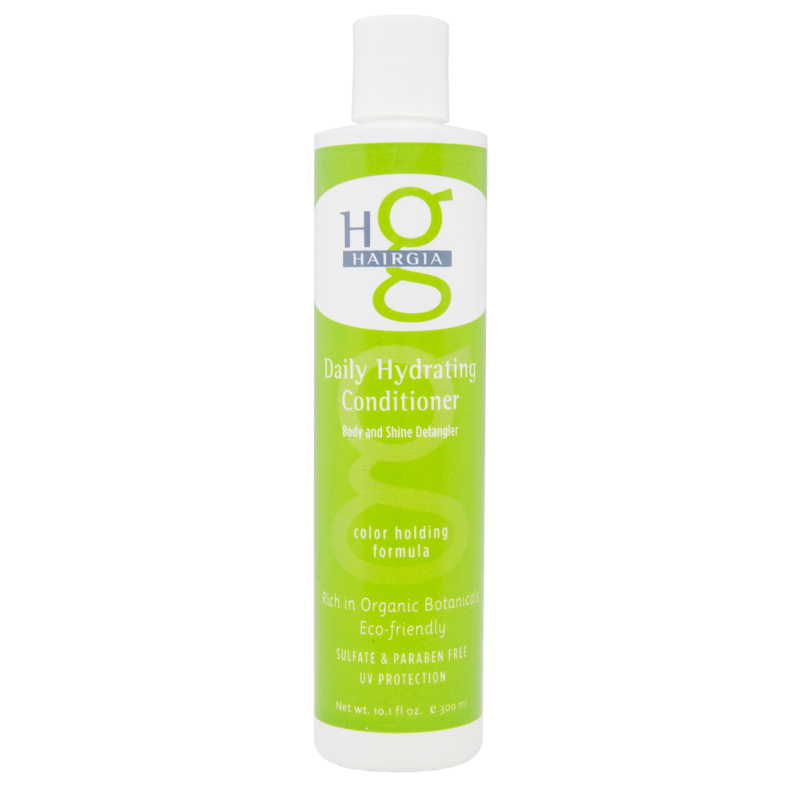 Then apply the Daily Hydrating Conditioner to wet hair and leave in for 1-2 minutes for optimal hydration. Rinse thoroughly. Set your hairstyle with Creative Mist for all day hold that isn’t stiff! 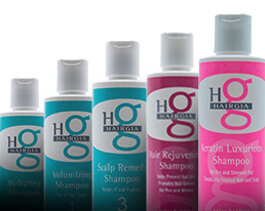 HairGia is a family owned and operated company that is committed to producing the best hair products for our fabulous customers using high quality natural ingredients. Our products, sulfate-free and never tested on animals, are made with natural botanicals such as aloe vera, ginseng, and rosemary. They are gentle, environmentally friendly, and encourage healthy hair growth. The first thing that turned me on to this conditioner was actually… the smell! It’s the most delicious scent of orange creamsicle and leaves my hair smelling amazing. It’s also one of my husband’s favorite flavors, and I think he uses this conditioner now more than I do. Thank goodness it’s sold in a 32oz bottle as well! I love what this conditioner does for my hair and I’ve been getting compliments on how shiny and healthy my hair looks since I switched to using this product. The conditioner itself isn’t thick and annoying like other products, and I can quite literally feel my hair soaking up the silky cream as I apply it. It always feels like I rinse off less than I put on, and the result is my hair frankly looks amazing after its dried. Thanks for making such a great product. My husband and I couldn’t be happier!